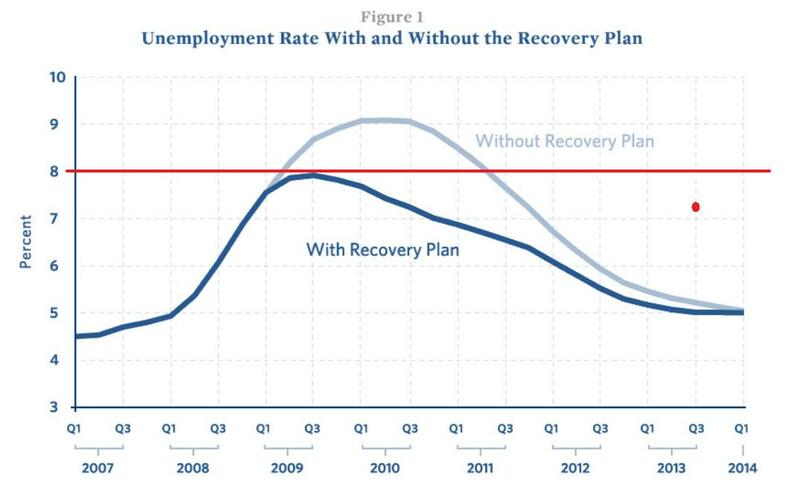 Back in 2009 Team Obama told us we needed the $787 billion stimulus to prevent the US Unemployment Rate from going over 8%. Here was their chart and I put a red dot where August’s unemployment rate clocked in today. It appears Obama is very fond of drawing red lines that come back to haunt him but later denying that he drew them. It’s hard to even listen to him anymore. What he says means nothing. I can be sure he’ll come back later and totally change what he said…or blame it on someone else. Interesting the name, Bush, hasn’t been reaised. “Don’t talk just to hear yourself talk”. Obviously no one loved Barack enough to share that little bit of wisdom with him.